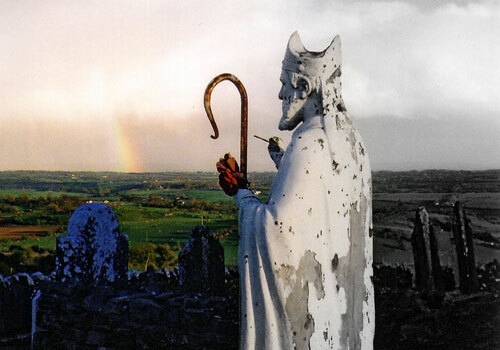 The lure of Ireland lies in its landscapes and its people, and it is through involvement with both that visitors get to experience the soul of this ancient land of saints and scholars. Ireland's hills are a walker's paradise, not only because of the extensive network of trails, but because exploring on foot allows travellers to appreciate the lakes, rivers, and coastal views that are so much a part of the Irish landscape. Watersports such as angling, sailing and surfing are popular too, and many visitors come for the golf. That said, the country's real passion is horses - there is a potential Derby winner in every valley and a packed betting shop in every high street. The Irish weather is not the most predictable in the world. Then again, much of the beauty of the Irish landscape is due to its climate. Indeed, poor weather has had positive influences on the Irish way of life. Music and song plays an integral part in day-to-day routine and visitors are able to experience this in the many pubs so characteristic of the social landscape of Ireland. Irish music is captivating - arguably some of the best in the world - and Irish pubs are a highlight of a journey through the country. Over the years, Ireland has survived invasions, famine and civil war, but has recently come into its own, benefiting from peace in the North, support from the EU, and a new vitality that has caused the country to be dubbed the 'Celtic Tiger'. There has never been a better time to visit. All foreign passengers to Ireland must be able to show proof of sufficient funds to cover their stay in the country. Additionally, passengers should hold return/onward tickets, and the necessary travel documentation for their next destination, as immigration officers might demand that they demonstrate proof of their intention to leave Ireland. If the traveller's passport bears a British inadmissable stamp, unless the immigration officer is convinced that they will not travel on to the United Kingdom, entry may be refused to Ireland. Note that all visitors need to contact the Garda National Immigration Bureau (GNIB), if their stay in Ireland exceeds their visa-free period, or their stay is longer than the period for which their visa is valid. NOTE: It is highly recommended that your passport has at least six months validity remaining after your intended date of departure from your travel destination. Immigration officials often apply different rules to those stated by travel agents and official sources. Kinsale is an old fishing village just 18 miles (29km) south of Cork. It's best known for the world renowned Old Head Golf Links, set on a narrow head jutting out into the Celtic Sea. Kinsale has a number of interesting sights, including The Courthouse and Desmond Castle. Desmond Castle was built as a custom house by the Earl of Desmond in the 16th century. It has a colourful history, ranging from Spanish occupation during the Battle of Kinsalein in 1601, to its use as a prison for captured American sailors during the American War of Independence. It is known locally as 'The French Prison' after a tragic fire in which 54 prisoners, mainly French seamen, died in 1747. The castle was also used as a borough jail from 1791 to the beginning of the Great Famine, when it became an auxiliary workhouse tending to the starving populace. Charles Fort is two miles (3km) outside Kinsale. Constructed in the late 17th century on the site of an earlier coastal fortification, it is a classic example of a star-shaped fort. William Robinson, architect of the Royal Hospital in Kilmainham, Dublin, and Superintendent of Fortifications, is credited with its design. As one of the largest military forts in the country, Charles Fort has been associated with some of the most momentous events in Irish history, the most significant of which include the Williamite War in 1690 and the Irish Civil War in 1922-1923. James Fort sits across the estuary. It is an earlier structure that was designed by Paul Ive in 1602. Kinsale has also earned itself a reputation as Ireland's gourmet centre, with numerous award-winning pubs and restaurants, and the annual Gourmet Festival in October. Admission: €11 Adults, concessions available. The Book of Kells is open Monday to Saturday 8.30am-5pm from May to September, and Sundays 9.30am-5pm. From October to April, it's open Monday to Saturday 9.30am-5p, and Sundays 12pm-4.30pm. Trinity College is Ireland's oldest university and counts Jonathan Swift, Samuel Beckett and Oscar Wilde, along with many other great thinkers and writers, among its past students. It was founded in 1592 by Queen Elizabeth I. The complex is home to many glorious buildings, beautifully manicured lawns, cobbled squares and the campus of the University of Ireland. The main attraction for many is the Trinity Library. It houses the celebrated Book of Kells, which dates from the 8th century and is considered to be one of the oldest books in the world. Other manuscripts taken from ancient monasteries are also on display. Note that photography in this gallery is strictly forbidden. The library is also home to the remarkable Long Room, which will delight the scholarly. The chapel on the grounds is absolutely beautiful and a must-see for anybody interested in ecclesiastical architecture. There are lots of sculptures, statues and monuments dotted around the grounds to investigate. One of the best things to do at Trinity, however, is to simply make like a student and lounge on the lovely green lawns! The Irish capital is known for its nightlife and many visitors come to Dublin primarily to enjoy the great beer, food, traditional music, and friendly locals that make the pub scene so famous. This quaint, cobbled district is the hub Dublin's toursit nightlight. There are shops, traditional pubs, theatres, cinemas and trendy clubs laid out on pedestrianised streets. Busking fiddlers, an overwhelming choice of restaurants, and beautifully restored buildings add to the feel of the place and make it worth a visit. The streets and drinking holes are always bustling in Temple Bar and the area has been immortalised by many photographers. The area is bordered by the Liffey River on one side and Dame Street on the other. The main street running through the area is also called Temple Bar. The weekly Temple Bar Food Market takes place between 10am and 4.30pm on Saturdays at Meeting House Square and this is a must for foodies. There are also several regular book markets in the area, and lots of little gems for clothes shoppers. The area has become rather expensive and some find it too touristy. That said, it's the place to be for the young and fashionable. Admission: One hour guided tour: Adults €12, Children under 17 €6. 30 minute self-guided tour: Adults €8, Children €4. Concessions available. Monday to Sunday and Public holidays 9.45am-5.15pm. Admission is by guided tour, with a self-guiding option available. Dublin Castle is at the very heart of the historic city. It was founded in 1204 by order of King John, who wanted a fortress constructed for the administration of the city. It has been added to and rebuilt many times so that all that remains of the original structure is the Norman Tower. By the early 17th century, the castle was fully developed with Law Courts, meetings of Parliament, the residence of the viceroy and a council chamber. The magnificent, gilded State Apartments were added in the 18th century and are still used for state occasions today. Highlights of the castle include the Throne Room, St Patrick's Hall and the Ladies Drawing Room. The gardens are also great for a stroll or relaxing, and there are some interesting sculptures to investigate. The gardens can be accessed by the public for free. There is a restaurant and a Heritage Centre, as well as a gift shop. You can only explore the castle on official guided tours which start every 20 minutes and take about an hour. Groups are required to book in advance. There are plenty of attractions at the castle to explore in your own time though, like the Chester Beatty Library. Note that the castle is used for state functions and is sometimes closed on short notice. Check the website to ensure it is open for your visit. Admission: Free Tuesday to Saturday 10am-5pm, and Sunday 1pm-5pm. Closed Mondays. The National Museum's permanent collection is broken up into four seperate museums, which have different locations in Dublin. The National Museum of Archaeology is on Kildare street, the National Museum of Decorative Arts and History is on Benburb street, the National Museum of Country Life is in Turlough Park, and the National Museum of Natural History is on Merrion street. All four establishments are great. The Natural History Museum is particularly good for kids, but the most popular and impressive is the Archaeology Museum, where many of the treasures of ancient Ireland can be found. Included in this museum is jewellery dating back to the 8th century BC and medieval antiquities such as the Tara Brooch and the Ardagh Chalice. Also housed here is the 12th-century Cross of Cong, an ornate reliquary of wood, bronze and silver, said to contain a fragment of the True Cross. The museum showcases important exhibitions on Irish history, including Prehistoric Ireland, Viking Ireland and The Road to Independence (1900-1921). There are also sections on Ancient Egypt and Life and Death in the Roman World. This is a truly world-class museum, which brings ancient Irish history to life. Admission: Free Monday to Wednesday 9.30am-7.45pm; Thursday and Friday 9.30am-4.45pm; Saturday 9.30am-12.45pm. The highlight of this historic library is its great, domed reading room, which has been home to many Irish students, including James Joyce. This is a light-filled, peaceful and inspiring place to work, write or read, and should be on every scholar's bucket list. The reading room is open from 9.30am to 7.45pm between Monday and Wednesday, 9.30am to 4.45pm on Thursday and Friday, and 9.30am to 12.45pm on Saturday. Anybody is allowed to enter provided they respect the strict note about silence. The library also contains a heraldic museum, which exhibits coats of arms and banners. But, the genealogical office, where staff can help trace any Irish roots, may be of of most interest to tourists. Its consultation service on ancestry is available Monday to Wednesday 9.30am - 5pm, and Thursday to Friday 9.30am - 4.45pm. It's a free service and no appointment is required. One of the library's most famous and popular attractions is the award-winning Yeats exhibit: The Life and Works of William Butler Yeats. The exhibit is magical and compelling, taking visitors through Yeats' fascinating life. The collection includes rare material, which has been generously donated by Mrs George Yeats, the poet's wife, and Michael Yeats, his son, over several years. The library hosts other wonderful temporary exhibitions but the Yeats exhibit has been on show since 2006. It has become a permanent addition due to popular demand. There is also a cafe on the premises. St Patrick's Cathedral is Ireland's largest church. It's erected on the site where St. Patrick is believed to have baptized his converts to the Christian faith when he visited Dublin. The current building dates back to the 12th century, although it has been restored and altered over the years. Jonathan Swift was dean of St. Patrick's from 1713 to 1745, during which time he penned Gulliver's Travels. Visitors can still see his tomb and pulpit. There are many tombs and memorials in the cathedral and it is interesting to get a guided tour to learn more about all the history on show. The cathedral has a nice little gift shop and really lovely grounds to enjoy. Marsh's Library is right next to the church. It is worth a visit for anybody interested in old, rare and unusual books. The cathedral still has daily services, which are open to the public. The church has a particularly impressive Boys Choir. Tourists have to pay a small fee for entry, with all proceeds going towards maintenance of the magnificent building. If, however, visitors want to attend a service to worship, there is no admission fee. The cathedral is sometimes closed for special services. Located just south of Dublin, Glendalough is a very popular destination for day-trippers. Although it gets busy, the site has a very tangible spirituality that can be experienced whilst standing amidst the remains of the monastic settlement. The Gaelic name translates to 'valley of the two lakes' and there are beautiful walks around the ruined monastery and along the clear-as-glass lakes. St Kevin founded the monastery in the 6th century and it became a great European centre for learning. His body lies in the 9th century cathedral. The site is adorned with St Kevin's Cross, carved in about 1150. Other buildings here have survived from the 8th and 12th centuries, the most famous of which is the round tower, standing 112ft (34m) high with a base measuring 52ft (16m) in circumference. Glendalough is a remarkable place both in its profound history and its natural splendour. Photographers will be in heaven with the scenery and the romantic ruins. All told, the place fires up the imagination. Located nine miles (14km) south of Dublin, the Martello Tower is one of 34 towers built in 1804 to protect Ireland against a possible Napoleonic naval invasion. The tower was demilitarised in the 1860s and is now home to the James Joyce Museum. Sylvia Beach, the Paris-based publisher of , founded the museum in 1962. It was the place where Joyce stayed in 1904 and where he was inspired to set the opening chapter of his famous book. The exhibition hall contains first editions of most of Joyce's works as well as other interesting memorabilia, including one of the two official death masks made of Joyce, and reproductions of how the rooms would have looked when Joyce wrote the book. This is essentially a museum for Joyce fans, and it will delight lovers of Ulysses in particular. Those who are not in the know may not be overly captivated. Having said that, everybody who visits will be astounded by the lovely views and picturesque setting of the tower, and many find the historical structure interesting in its own right. The museum is now run by volunteers who are wonderfully friendly and enthusiastic. There is no charge for admission but donations are welcome. Clonmacnoise is Ireland's most important monastic site, and it's situated in Shannonbridge, west of Dublin in County Offaly. It was founded by Saint Ciaran in the 6th-century, on the banks of the River Shannon. It includes the ruins of a cathedral, eight churches (10th to 13th-century), two round towers, and three high crosses. The site is extremely atmospheric, with some beautiful ancient stonework, and it provides the visitor with a real sense of what monasteries must have been like in their day. Everything still feels authentic and the spirit of the place has been preserved. The Visitor Centre displays a large collection of grave slabs, hosts numerous exhibitions and provides further interest with an audio-visual show. It is a good idea to start with a browse around the museum to get some historical context before exploring the ruins, many of which are remarkably intact. There is lots to see and explore and Clonmacnoise offers some really glorious photographic opportunities. Although it is ideal to visit in good weather, as the whole site is worth exploring, the ancient monastery can ignite the imagination despite mist and drizzle. As this is a very popular attraction, visitors may experience queues during the summer months. Admission: €18 for adults, €8 for children (8-16 years, under 8s free). Concessions available. Monday to Saturday 9am-7pm (June to August), 9am-6.30pm (May and September), 9am-6pm (March, April and October) 9am to 5pm(November to February). Sundays 9.30am-5.30pm (until sunset in winter). Connemara is a wild and barren patchwork of bogs, green valleys, mountains and lakes. On the coast, visitors will find beautiful fishing villages and some superb white beaches washed by turquoise water. Mist and rain transform it into an eerie, magical place. The weather is very changeable and the light fluctuates almost constantly, bringing out the vivid colours of the various landscapes. The Connemara National Park encompasses the remarkable granite peaks of the Twelve Bens and is wonderful walking country. Travellers could easily spend a whole Irish holiday in this amazing park. Its attractions include hiking, fishing, cycling, painting courses, horse riding, rock climbing, sailing, shooting, and golf at Connemara, among other things. There are also many historical sites and more cultural forms of entertainment, with traditional singing, music and dancing almost nightly, and some superb restaurants, pubs, bars and cafes. There are some wonderful camping facilities but also many upmarket guest houses, so the whole range of accommodation is catered for. Connemara is a must for nature lovers exploring Ireland. The Aran Islands, with their magnificent wild terrain, show years of wind and water erosion. The islands - Inishmore, Inishmaan and Inisheer - lie about 30 miles (48km) out across the mouth of Galway Bay and are criss-crossed by miles of stone walls. They're also dotted with some fine Iron Age archaeological sites. Ancient forts such as Dún Aengus on Inishmór Island, and Dún Chonchúir on Inishmaan Island, are some of the oldest archaeological remains in Ireland. The islands were home to a number of ancient monasteries, and some clocháns (dry-stone beehive huts from the early-Christian period) can still be found. The islands' isolation allowed Irish culture to survive when it had all but disappeared elsewhere. Irish is still the native tongue and, until recently, people still wore traditional Aran dress. The women still knit the famous Aran sweaters, which are now popular souvenirs for visitors. Historically, each family used a different pattern in order to recognize fishermen drowned at sea. The islands are a haven for botanists and nature lovers because of their abundance of flora, fauna and nesting birds. Many people recognise the islands from the popular television show Father Ted, which was filmed there. Nestled in a wooded landscape among the picturesque farmlands of the Golden Vale, Adare is known as one of the prettiest villages in Ireland. It is conveniently located just ten miles (16km) from Limerick City, and connected to many other Irish towns by bus. The small village is centred on a street of thatched Tudor-style cottages and hedges, surrounded by intriguing medieval churches and castle ruins. Attractions include Desmond Castle, the Trinitarian Abbey, the Augustinian Priory, and the Franciscan Friary. A visit to the Adare Heritage Centre is a must for anyone interested in the rich history of this town, which dates back to the Norman conquest of Ireland. The exhibitions offer some good contextual information on the churches and abbeys to be visited in the area, and the information is available in five different languages. Adare is within easy distance of three golf courses, and the town has a good selection of restaurants, pubs and craft shops. Adare's Old Creamery is a hit with visitors searching out quality tea and treats, and the shop's Christmas and Halloween-themed merchandise is pretty entertaining. For a bit of fresh air and some insight into Celtic worship, visitors can stroll around the lovely Celtic Park gardens. Kerry County is widely regarded as the most beautiful region in Ireland. It's the country's most popular tourist destination with its rugged scenery, picturesque villages, coastal resorts and wealth of attractions. The panoramic Ring of Kerry drive on the Iveragh Peninsula affords spectacular views of Ireland's highest mountain, the Lakes of Killarney, and the stunning coastal scenery. There are also many ancient and historic sites along the way, including the incredible ruins on the Skellig islands. The Killarney National Park is also renowned for its beauty and variety of outdoor activities. 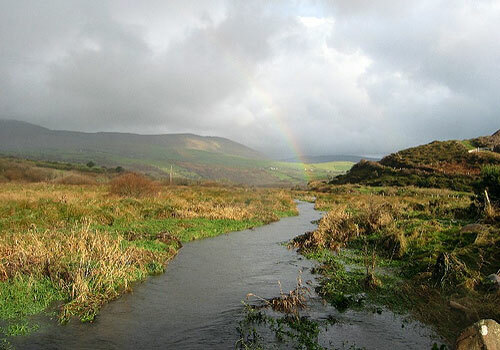 The Dingle Peninsula has magnificent coastal scenery and is the westernmost point of Europe. Villages like Kenmare and Dingle offer a wonderful glimpse of traditional Irish life. Fresh seafood and authentic music make any visit a delight. County Kerry is a paradise for outdoor enthusiasts, ideal for boating, fishing, walking, golfing and cycling. 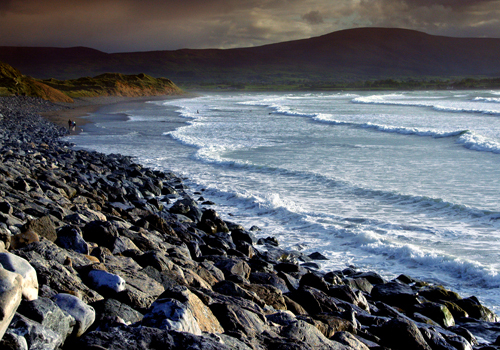 The Ring of Kerry is best enjoyed during the summer months as bad weather reduces visibility. Even in thick fog, it is an enchanting region which makes its way onto most Irish travel itineraries and seldom disappoints. Admission: Off peak: €4 adults, €3.50 students/seniors/disabled. Peak: €8 adults, €5 students/seniors/disabled. Children under 16 free. Open 9am year-round. Closing times are as follows: November to February 5pm; March and October 6pm (6.30pm on weekends and bank holidays); April 6.30pm (7pm Weekends & Bank Holidays); May and September 7pm (7.30pm on weekends and bank holidays); June 7.30pm (8pm on weekends and bank holidays); July to August 9pm. The steep and wondrous Cliffs of Moher overlook the Atlantic Ocean in County Clare, and are one of Ireland's top visitor sights. The majestic cliffs rise from the ocean to a height of 702ft (214m) and extend for a distance of five miles (8km). Formed by layers of sandstone, shale and siltstone, the cliffs have stood unchanged for millions of years. Visitors come to marvel at their splendour, and to enjoy views towards the Aran Islands in Galway Bay, as well as the valleys and hills of Connemara. If at all possible, travellers should visit the cliffs on a clear day to fully appreciate the views and natural beauty. On misty or rainy days, it's impossible see the ocean far below, and the wind on the cliff-tops can be terrifyingly strong. The award-winning visitor centre offers an ultra-modern interpretive centre, Atlantic Edge, which includes interactive exhibits and displays, images, an audio visual show, and a virtual reality cliff-face adventure. Travellers can quite easily approach the cliffs without visiting the centre, but learning a bit about the place enriches the experience. The old Cork City Gaol looks the same as it did in Victorian times, with its barred windows, cells, bare corridors and iron stairways behind the unwelcoming gateway. The gaol once incarcerated 19th century prisoners. The building was built in 1824 and is considered one of the finest examples of Georgian architecture surviving in Cork. Self-guided audio tours are an option. Life-size figures, sounds and exhibitions tell the story and social history of 19th century Cork and the reasons people turned to crime, which was mainly due to extreme poverty. Visitors can still see the graffiti that prisoners carved or wrote on the walls, and there are many interesting facts and stories to be heard. Unsurprisingly, the Cork City Gaol is said to be haunted, which is very easy to believe when strolling through the formidable building. The tour is available in 13 languages and it really does transport visitors into another century. Children will enjoy this attraction and it is a good activity for the whole family. Although it is popular, it never seems too crowded, which adds to the eerie atmosphere. Admission: Adults €18, Children (3-16) €13.50. Concessions available. Open from 9.30am Monday to Sunday. Closing times vary between 4pm and 6pm, depending on the season. The Dublin Zoo is one of Ireland's most popular attractions for children. It takes visitors on a voyage of discovery from the Arctic to the Plains of Africa via an Indian Rainforest. The zoo houses more than 600 animals and the habitats are impressive, with lots of information provided on each species. The zoo provides plenty of entertainment for kids, with free arts and crafts activities like face painting, and a number of little playgrounds dotted around the park. Visitors can see lions and tigers, Asian elephants, gorillas, chimpanzees and orangutans, rare monkeys, rhinos, hippos, giraffes and many more exotic and endangered species, including extremely rare species like the snow leopard. There is also a pet's corner for children, a city farm and a safari train ride around the African Plains. Although it is an old zoo, it is recognised as one of the most modern in Europe, and it places emphasis on learning about wildlife and conservation. The Dublin Zoo is a registered charity and all profits will go towards maintenance and improvement. There are a number of snack stalls and a restaurant on the premises, but visitors can also bring their own picnics. Admission: Adults €14, Children under 18 €7.70. Concessions available. Open daily: Monday to Saturday 9am-7pm, Sunday 10am-6pm (last tour at 5:15pm). Closed Good Friday and Christmas holidays. Jameson, who was actually a Scotsman, moved to Dublin to start a whiskey distillery in the 1770s and clearly made a lasting impression on the industry, despite the many distilleries making fine Irish whiskey in Dublin at the time. The Old Jameson Distillery is located in the heart of Dublin. Visiting is a treat for whiskey lovers, and there's a taste of Irish culture and history thrown into the bargain. This museum illustrates the history of Irish whiskey, known in Irish as (the water of life). The expert guides will answer any questions whiskey lovers might have. The tour takes visitors through the triple distillation process that sets Jameson apart. In the beginning there is a film explaining the 'Angel's Share', which is very interesting. A free glass of Jameson Whiskey is included in the tour and visitors can choose to partake in a whiskey tasting in the bar after their tour and sample different Irish, Scotch and American whiskeys. The tour lasts just over an hour, but guests can stay afterwards to enjoy the bars, restaurant and gift shop. A popular souvenir from the gift shop is a personalised bottle of whiskey, which will delight any whiskey drinkers back home. Lough Gur is a lake situated less than 14 miles (23km) south east of Limerick. Although the area's lovely scenery provides enough reason to visit, its remarkable archaeological remains are the main attraction. Lough Gur has been inhabited by humans since about 3000 BC, and the extensive remains make it one of Ireland's most important archaeological sites. There are relics from the Stone Age, Bronze Age, Iron Age and Early Christian civilisations, as well as Medieval ruins all in one area. These show that Lough Gur has been continuously inhabited for at least 5,500 years. The Grange stone circle near the lake is the largest in Ireland and is seen by locals as a place of mystic power, similar to Stone Henge. There are also grave sites, a dolmen (rock monument), crannogs (artificial islands) and some ring forts. The site contains a Heritage Centre with exhibitions on Lough Gur's history. They detail the significance of the archaeological remains, and bring the place to life in the imagination. However, the best way to explore the area is on a walking tour with one of the very well-informed guides. Visitors can also take self-guided audio tours. There are lovely picnic areas and walking trails to enjoy, and a small shop that sells snacks and refreshments. Kids love nothing more than farms, and there's no better place for them to explore than an actual working one. Airfield is the only active farm left within Dublin's city boundary and the owners aim to connect people of all ages to nature through farming and gardening. Indeed, they want to instill a respect and love for the natural environment. The sheep, horses, goats and pigs will provide endless entertainment for young ones and, with plenty of space to run around and activities for children to get involved in, parents will enjoy themselves too. The farm has learning programmes for primary school children, secondary school children, and adults. Children participate in seasonal activities and help tend to the animals. They may even be lucky enough to witness a lamb being born. The adult courses teach sustainable living skills, such as cultivating a vegetable garden, keeping chickens, and making cosmetics. The Airfield House and Car Museum are also great to explore, and there is a lovely cafe on the premises as well. Airfield hosts art exhibitions and the like for entertainment, though many visitors come just for the pleasure of a stroll around the farm. Imaginosity is an innovative children's museum aimed at stimulating children's imaginations and curiosity. The two-storey climbing structure is a favourite, while the art studio, theatres and galleries provide endless hours of fun. Parents will be thrilled to sneak some education in without the kids even realising it! The museum is designed for kids under nine, but the idea is to engage in creative play as a family, with parents and older siblings getting involved. Imaginosity is great for a rainy day in Dublin, or as a chance for kids to take a break from traditional sightseeing and let their creativity flow. The museum holds numerous events and competitions - things like Superhero Training Camps and storytelling competitions. Guests should book ahead to avoid disappointment, particularly on holidays and weekends, as the museum only accepts a certain number of children per session. Admission: Adults €5, Students and Seniors €4, Children (5-16) €2.50. Concessions available. June to September: Monday to Saturday 10am-4pm, Sunday 11:30am-4:30pm. March to October: Monday to Saturday 10am-4pm, Sunday 11:30am=4pm. November to February: Monday to Sunday 11am-3pm. Positioned on a hill overlooking the River Lee, the Church Tower of Shandon (Old Fort) is possibly Cork's most famous landmark. The red sandstone and white limestone tower is crowned by a large, salmon-shaped weather vane. It was built in 1722, making it one of Cork's oldest buildings, and is still perfectly preserved. The Church of St Anne is famous for its bells, which inspired the song 'The Bells of Shandon', and also for its clock, which is referred to as 'the four-faced liar' because each of its four faces reads a different time. Visitors can ring the famous bells on a visit to St Anne's and view the internal workings of the clocks. The views of the city from the bell tower's balcony are stunning. The staircase up to the top of the tower gets quite narrow, which is a delight for some but perhaps shouldn't be attempted by the claustrophobic. The church itself is also a joy to explore for those who are interested, and the people who work there are very helpful and friendly. The church is located in the historical section of the city, so a visit can be combined with a stroll through the charming old area, which has many other attractions. The 16th century Princes Street Market is a covered food market in the centre of Cork. A large sign now designates it the Old English Market (and the nearby St Peter's Market is referred to locally as the Irish Market), although it is certainly Irish in character. The Queen and Prince Philip visited the market in June 2011, cementing its association with the English. Merchandise on sale includes fresh fruit and vegetables, baked goods, cheese, meat, seafood, gourmet chocolate, sweets, clothes, and local crafts, trinkets and souvenirs. It is well known among locals and tourists alike for its varied selection of produce from all over the world, and especially for its fresh fish. The merchants are very friendly and the place has a wonderful atmosphere. It's a good idea to ask the stall owners for their recommendations and try out some local specialties. Visitors can buy a take-away meal, gifts for those back home, or groceries at the Old English Market. Those who enjoy the place should try the Farmgate Restaurant, where they can sit on the balcony overlooking the stalls and relish the smells and sights along with a great meal. Kilkee has its roots as an exclusive Victorian seaside resort for wealthy merchant families. It's known for the beautiful sandy beach that now draws families from all over the UK. In its heyday, Kilkee attracted some famous people. Charlotte Bronte spent her honeymoon in the little village, and Lord Tennyson also came holidaying. The beach is great for swimming and is protected by a reef, which tends to ensure calm waters in the bay. In fact, it is said to be one of the safest beaches in Ireland. It's a popular diving spot, and offers several picturesque swimming areas, including a formation of natural rock pools called the Pollock Holes. It's also a well-loved sailing and boating destination. If the weather isn't kind, visitors can still have some fun at Kilkee Waterworld. Kilkee has land-based attractions and activities as well, including a golf course and a number of restaurants and bars in town. Kilkee gets busy in late June each year, when it hosts the Hell of the West Triathlon. In fact, the seaside village is busy for most of the summer season. This 16th century tavern is renowned for its traditional music ballad sessions. The building, complete with blazing fires, original stone walls and gas lights, features a wonderful restaurant upstairs. The menu changes on a seasonal basis but features such culinary delights as (seafood crepes), roast duckling with ginger and pineapple, or spinach and ricotta tortellini. After the meal, guests can enjoy the live entertainment downstairs in the form of some traditional Irish music. Bookings are recommended and credit cards accepted. Mao has been a firm favourite with Dubliners for over 20 years. The chef's prepare fresh, healthy food with a sophisicated Asian flair. The exposed kitchen lines an entire wall and the rest of the space is wide open, which makes this an excellent people-watching spot. The menu comprises everyone's favourite Asian dishes, such as Thai fish cakes, chicken hoisin and salmon ramen, to name a few. Everything on the menu is delicious and it is hard to go wrong when dining here. It's open daily for lunch and dinner, and reservations recommended. L'Ecrivain is one of Dublin's finest restaurants, offering diners a relaxed and unpretentious experience. Chef Derry Clarke's food is absolutely mouth-watering, from his seared wild Irish venison loin with caramelized pear, or Bere Island scallops with lobster strudel. Menu prices are changed regularly and it's not very affordable, but L'Ecrivain gives guests the opportunity to sample some of its dishes in the form of a two-course lunch menu at a more reasonable price. The restaurant is open Monday to Saturday for dinner. They're open for lunch Wednesday to Friday, and they're closed Sunday. Reservations are essential. This loud and busy restaurant has been a much-loved eatery with Dublin's locals for over 20 years. The menu serves old favourites such as burgers, pasta, steaks and salads, appealing to just about everyone. Orders are clipped to a wire before being whizzed off to the kitchen, and there's an outdoor terrace looking over the lively Temple Bar scenes. It's also known as the place where Sinead O'Connor used to wait tables. It's open daily. Yamamori Noodles has a casual but lively atmosphere with an exciting menu. It's popular at lunchtime, and prices range from bargain to complete over-indulgence. Guest who don't want to break the bank should go for meals like chile chicken ramen or the with its mound of wok-fried noodles piled high with prawns, squid, chicken, and roast pork. It's open daily for lunch and dinner. Reservations only for parties of four or more. With its long, wooden bench tables, stone pillars, clean lines and light, airy atmosphere, this spacious eatery lends itself perfectly to the ritualistic art of eating sushi. Yamamori Sushi is one of Dublin's favourite Asian restaurants, and for very good reason. Feast on Karubi beef, salmon teriyaki and Yamamori Ramen, which is made up of char-grilled chicken, king prawns and char shu with crispy tofu, egg, wakame, menma and spring onion in a chicken and pork stock. It's open daily for lunch and dinner, and reservations are recommended. One Pico has become something of an institution when it comes to dining out in Dublin. This award-winning restaurant serves delicious local fare, including organic smoked salmon with pickled cucumber, remoulade and herb crème freche. A firm favourite on the menu is the filet of Irish Hereford Beef served with a white onion puree, parmesan fondue and crispy tempura onion. One Pico is open daily for lunch and dinner. Reservations are essential. Gallagher's Boxty House specialises in traditional Irish food like fish and chips, soda bread, and especially the boxty, a quintessentially Irish potato pancake. It's one of the most popular restaurants in the Temple Bar District. Their slogan is "The Humble Spud, Made Beautiful", and they live up to that. Gallagher's goes through a tonne of potatoes every week, serving them up to buzzing crowds who come for the filling food and lively music. They're open for lunch and dinner daily. There are no special health requirements for visitors to Ireland. Health insurance is advisable unless travellers are visiting from the UK or other EU countries, most of which have reciprocal agreements with Ireland. A European Health Insurance Card (EHIC) should be obtained before departing for Ireland. Medical facilities are good and medicines are widely available; payment for treatment is usually required in cash. If travellers require specific medication, it is always advised that they bring it with them. Travellers should make sure to carry all medications in their original containers, clearly labeled. They should also have a signed, dated letter from their doctor describing all medical conditions and listing all prescribed medications, including generic names. Smoking in pubs, cafes and restaurants is illegal. Visitors should refrain from forcing discussions of political and religious differences, and show respect if the topics are brought up. A 10 percent tip will be welcomed in restaurants and cafes, and occasionally a service charge will be added to the bill. Tipping is not usual in bars and pubs, or for other services.